League of Legends ushers in the debate of whether “givers,” people who act selflessly, achieve more than “takers,” people who act for self gain. While everyone understands to be successful, they need hard work, motivation, and ability not everyone believes that social interactions can play a huge role in the outcome. Many of this factors in the debate proposed by Adam Grant of Wharton School of Business whether or not altruism is a key factor to success. Riot Games, the company that created League of Legends, has always created events to benefit its users. The fact that it is and has always been a free to play game lends a degree of generativity. 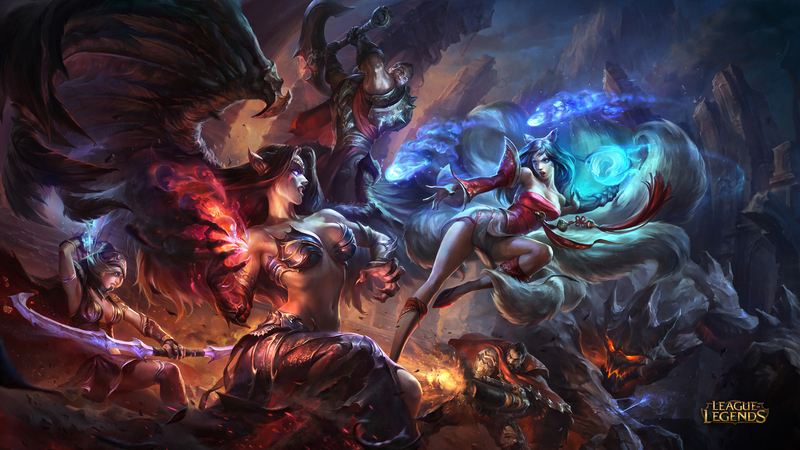 However, there is a greater amount of benevolence that Riot Games demonstrates that sets it apart from even every other Free-to-Play game setting it as the biggest free-to-play game so far. In 2013 it received $1B in micro transactions, which is ludicrous considering the game is free to play. It receives its transaction by selling skins that change each characters appearance. The characters themselves are free, but skins typically cost $5 and aren’t an integral part of the game except to provide visual stimulation. Ultimately, the game surpassed the money made by World of Tanks, Counter Strike: Global Offensive, and Hearthstone: Heroes of Warcraft combined. All of these companies work equally hard, have merits in their game play, and have talented and capable game developers. What sets League of Legends apart is the fourth component: its altruism. The company greatly values the experience its players get from playing the game. It hosts sports-like events, renting out expensive venues, that do not make money but gives its players a sense of legitimacy to the event, especially in an age increasingly critical of the crazy idea of video games as viable pastimes. Riot understands that many people do not want to openly share that they play video games because gamers are stigmatized in society. 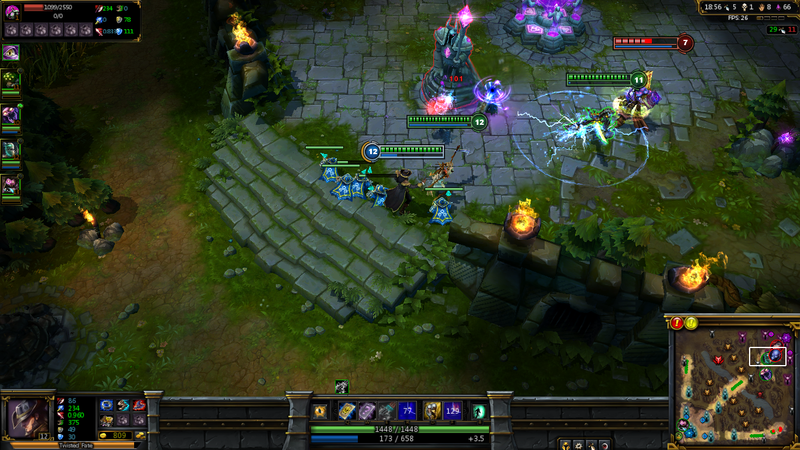 In a sense Riot games is antiquating the stereotype that gamers are lazy people who don’t contribute to society. How often has a parent told their kids to stop wasting time on video games and to study, but kids who waste time on sports are permitted to continue simply because society allows athletes a future. Riot games sacrifices its personal gain to pave the way for e-sports. The reason for such huge venues that don’t make money is to create infrastructure similar to those as the NBA, MLB, and FIFA. In a sense its whims have been realized globally especially in Korea. In Korea gaming provides alternate futures for adolescents who drop out and make enormous wages. In fact many in the current generation are currently equivalents of music stars and actors in terms of wages, but also in fan-bases as the whole country cheers them on to beat other regions. The Season 4 World championship also symbolizes everything Riot Games has been working toward as it was hosted in Seoul’s World Cup Stadium: Sangam Stadium. This stadium also hosted the 2002 FIFA World Cup. Following Riots goals to make E-sports simultaneous to that of the NBA, MLB, and FIFA it was fitting that the S4 Championships took to such a renowned stage. Riot has also been blessed with a lot of altruistic players. Everyday millions of players tune into streams to watch their favorite professional players play and hopefully take something out of their play style. However, Streaming has not always been profitable to the players, yet they stuck to the game to make it as competitive as it is today. The E-sports magnitude would not have accumulated such a gathering had these players not encaptivated and astounded its viewers with their gameplay. In one instance, months before the Season 2 world Championships the whole team of CounterLogicGaming put in hundreds of hours streaming before live audiences diligently showing amateurs nuances that change the game. After finishing their hundreds of hours streaming, their contractor Own3d went bankrupt and the team and its members lost about 60-70% of the revenue it was supposed to be paid. However, even now its members continually stream, saying they don’t really care about the money, but about connecting with their fans and providing them a good time. Also towards the beginning of League of Legends conception, Players like Wickd, currently on Team Alliance of Europe, but back then was on Counter Logic Gaming Europe brought strategy into the game where players before would just faceroll for kills. Together with the American Counterpart, Counter Logic Gaming in America, they brought many viewers, on average 30K to 40K viewers to League of Legends. In fact many players including Riot Games themselves recognize that without these players putting in the effort to create such a huge player base for Riot Games, League of Legends would not be as big as it is today. In turn Riot Games makes its money because of the amount of people that it attracts. Even though only 3.75% of its players spend money on the game, that is enough to bring its $934 million. Through player interaction the company brings in millions of daily players who get hooked into Riot’s inviting atmosphere that initially loses it money and eventually makes Riot money. Special thanks to Sam Huang. Link to original article on Through The Gaps.